A Federal Court of Appeals (FCA) judge has allowed an appeal by Bell, Rogers, Videotron and TVA Group, in a copyright court case regarding Kodi media player add-ons. In a decision delivered on February 20th, 2018, FCA judge Yves De Montigny ruled that the search and seizure order obtained by Bell, Rogers, Videotron and TVA Group to investigate Montreal resident Adam Lackman’s home was done so lawfully and that the original Federal Court of Canada’s ruling regarding its unlawfulness should be set aside. Lackman was responsible for TVAddons.ag — a website designed to provide internet users with access to Kodi media player add-ons. Additionally, the TVAddons website hosted the ‘Indigo’ tool, which automated the installation of Kodi add-ons, including some add-ons that infringed on Canadian copyright. Furthermore, the TVAddons site developed, supported and provided users with links to the ‘FreeTelly’ app, which came installed with 28 add-ons, including many that infringed on copyright. In his February 20th ruling, De Montigny also issued an interlocutory injunction, preventing Lackman from accessing the website or its related social media accounts. “The appellants have established a [strong case] of copyright infringement for the purposes of the Anton Piller order sought, and the judge’s conclusion to the contrary was based on a misapprehension of the case law and of… the Copyright Act… and on overriding and palpable errors in construing the facts,” said De Montigny, in his February 20th, 2018 FCA ruling. An Anton Piller order is a court order that provides individuals or groups of individuals with the legal right to search or seize assets without prior warning in order to prevent the destruction of those assets in a way that prevents them from being used as evidence. Bell was concerned that Adam Lackman would destroy evidence of his connection to the TVAddons website, thereby preventing a fair and speedy civil court case. Interlocutory injunctions are court orders that compel or prevent a party from carrying out certain actions until the final determinations of a case. 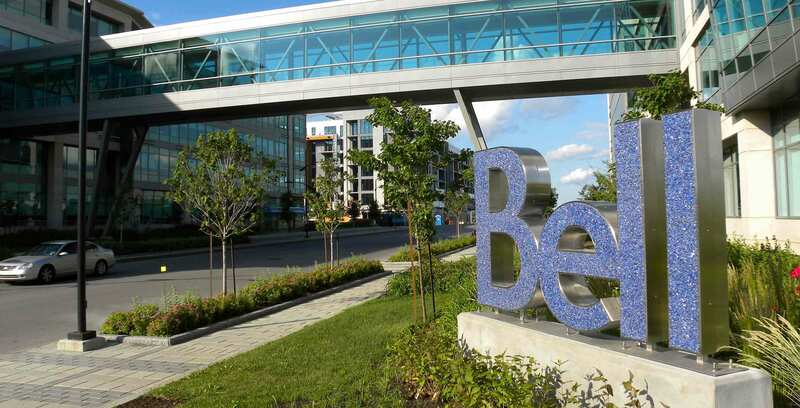 Bell sought out an interlocutory injunction to prevent Lackman from making the add-ons found on TVAddons available to the public. In a lengthy ruling, FCA judge De Montigny argued that the decision delivered by Federal Court judge Rene LeBlanc failed to take into account the complete set of circumstances surrounding Lackman’s involvement with the TVAddons website. LeBlanc’s June 29th, 2017 decision favoured Lackman, arguing that he was treated unfairly by Bell and other Canadian telecoms with media assets during the legal process. In contrast, De Montigny allowed the Bell, Rogers, Videotron, TVA Group appeal, and set aside the June 2017 order issued by LeBlanc. One of De Montigny’s central arguments had to do with the TVAddons website as a “content neutral” conduit of information to the Canadian public. A 2004 Supreme Court of Canada case determined that internet service providers would be able to claim conduit status — and thus avoid persecution for the actions of their users — so long as the ISP existed as a content neutral entity. “[Lackman] cannot credibly assert that his participation is content neutral and that he was not negligent in failing to investigate, since at a minimum he selects and organizes the add-ons that find their way onto his website,” wrote De Montigny. De Montigny also drew comparison between the TVAddons website and the pre-loaded Android set-top boxes that the Federal Court previously issued an interlocutory injunction against in 2016. “The service offered by the respondent through the TVAddons website is no different from the service offered through the set-top boxes,” wrote De Montigny. “Content piracy is theft and it’s extremely harmful to Canadian creators and the entire Canadian broadcasting ecosystem,” said Bell. A statement posted to the TVAddons website expressed disappointment in the FCA’s ruling. “This is a major blow to internet rights in Canada, as it confirms the fact that under Canadian law there are no safe harbours protecting community-based platforms from abuse by website visitors,” reads an excerpt from the TVAddons statement. It’s important to note that the Bell-Lackman case took place in civil court, and not criminal court. Unlike criminal court, where guilt must be determined beyond a reasonable doubt, civil court decisions must be made based on a balance of probabilities.